(MENAFN - Jordan Times) AMMAN — Minister of State for Media Affairs and Government Spokesperson Jumana Ghunaimat on Sunday said that Jordan had received an official request from Israel to start deliberations on the Baqoura and Ghumar areas. His Majesty King Abdullah had announced last month the Kingdom's decision to terminate the annexes on the Baqoura and Ghumar areas in the Peace Treaty with Israel by the end of their legal term in October next year, the Jordan News Agency, Petra, reported. No Israeli farmers have been witnessed entering their agricultural land in Baqoura since Jordan's decision to terminate the annexes, Al Rai and The Jordan Times were told during a field visit to the town on Saturday. Israeli farmers can only enter the town through security permits at specific times issued by the Jordan Armed Forces-Arab Army (JAF). Ghunaimat said that Jordan had exercised its legal right stipulated in the peace treaty by deciding to terminate the annexes, and is committed to engaging in consultations to implement the decision and to protect its rights and national interests, while respecting Israel's rights, according to Petra. The town's mukhtar (unpaid community leader), Muhammad Abbasi, said that Baqoura is inhabited by 1,100 Jordanians, noting that before the Israeli attack on the area in 1968, the population stood at some 8,800 Jordanians. On the expected benefits for the town after the termination of the annexes, Abbasi said that Baqoura is a border town that JAF and decision makers can use as a tourist attraction, due to its warm weather in the winter. He also said that the area suffers from unemployment, estimating the number of unemployed young people in the town, who are over 20 years old, at 60 citizens. The mukhtar expressed hope that officials can visit the town to address this, among other issues the area's residents are suffering from. 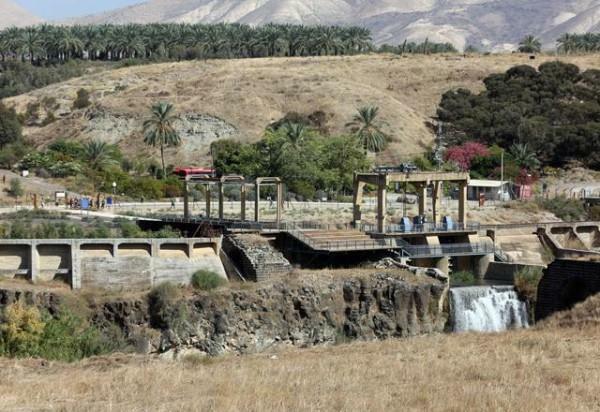 Among the concerns are problems related to land ownership deeds that households in the town have not received since 1968, Abbasi said, noting that the families received in 2000 a document from the secretary general of the Jordan Valley Authority promising to resolve the issue. However, in 2012, a decision was made to allocate these lands to the retired military officers fund, which means that these lands have become Treasury lands, the mukhtar said, adding that the families are still waiting for this issue to be resolved. Under the 1994 Wadi Araba Peace Treaty with Israel, Jordan had to decide this year whether or not to renew an agreement that placed thousands of dunums in Baqoura, in the northwestern corner of the Kingdom, and Ghumar, south of the Dead Sea, at the disposal of Israeli farmers, but the Kingdom decided to terminate the annexes and return the lands to Jordanian sovereignty.